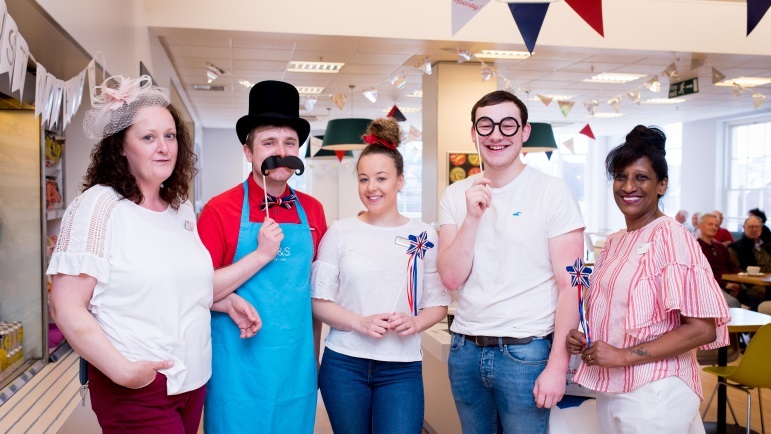 Customers and colleagues at M&S Leamington Spa celebrated the Royal Wedding in style at a special in-store street party on Saturday 19 May. Attendees included both M&S customers and community volunteers from the Royal Voluntary Service, one of M&S’s nation-wide charity partners. Guests were treated to an exclusive screening of the wedding in store as well as the newly launched Delacourt Champagne. 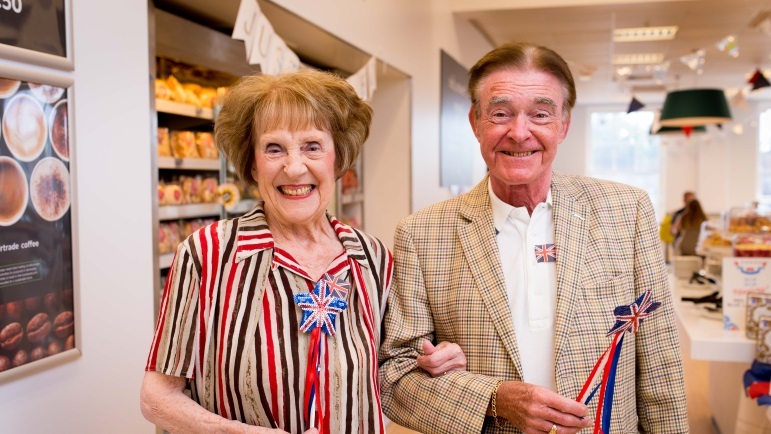 The first 10 customers to arrive at the in-store celebrations were also treated to a selection of brilliantly British treats in an exclusively designed Royal Wedding bag, including M&S Loose Leaf Tea and the Royal Wedding Biscuit Tin. Limited edition Markle & Sparkle branded flags were also given away to customers to mark the big day, following the official unveiling of M&S’s rebrand to Markle & Sparkle at the M&S Windsor store on Friday 18 May in honour of the Royal nuptials. 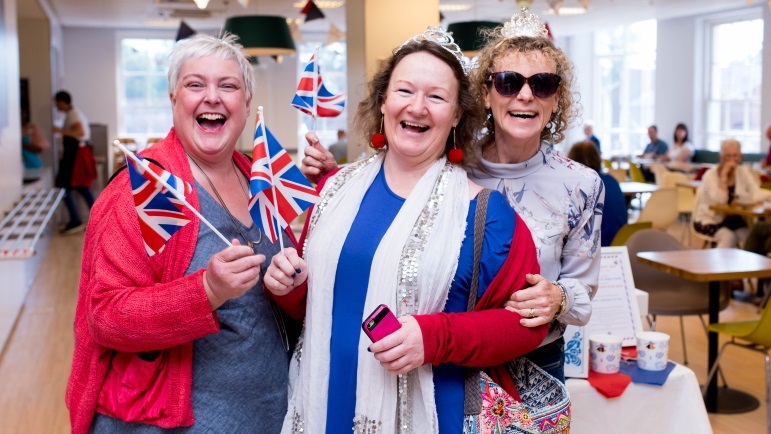 M&S customers were also invited to take a picture and send their best wishes to the Royal newlyweds via a Markle & Sparkle selfie booth, installed at the store for the day’s celebrations. Customers not able to join us in store were invited to share their messages with M&S on social media using the hashtag #MarkleandSparkle. M&S will collate all the messages from customers into a virtual wedding album which will be sent onto Kensington Palace on behalf of all M&S customers, colleagues and the great British public. 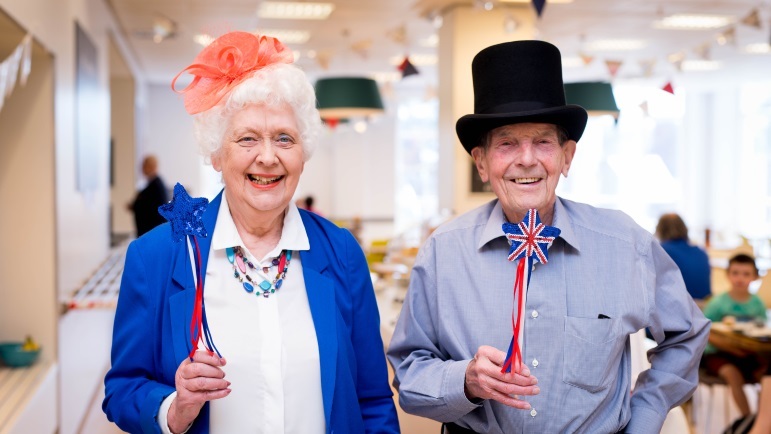 Jane and Roy Crooks from Leamington Spa, said: “We come to this M&S every morning so to be welcomed with an M&S hamper and a viewing of the Royal Wedding today was such a treat! We have both been very excited for the wedding so to watch it here is fantastic!”. Gemma, M&S Leamington Spa Store Manager, said: “The event was really well received by the customers at the Leamington Spa store. We are very happy to have been able to be involved in such an iconic event. 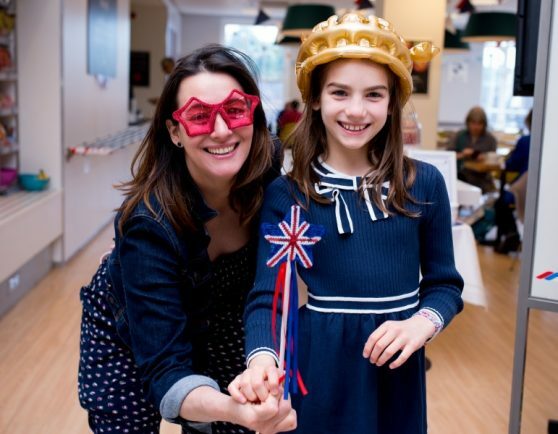 As a British institution, that is so involved in the community, it is brilliant for M&S to have been able to been able to celebrate the day in style.” To find out more about the celebrations, and to explore M&S’s Royal Wedding collection, visit www.marksandspencer.com.